Happy Smoothie Monday! Do you like creamsicles? I know I do and today’s smoothie tastes just like one! But what’s even better is it’s low-calorie, easy to make and good for you! Let me introduce to you today’s smoothie recipe, Citrus Blend Smoothie! I am telling you this smoothie tastes like dessert! It’s creamy, sweet, perfect balance of orange with a hint of lemon and lime. I kid you not it tastes like one of my all time favorite ice cream treats or an Orange Julius. Yum, yum!! 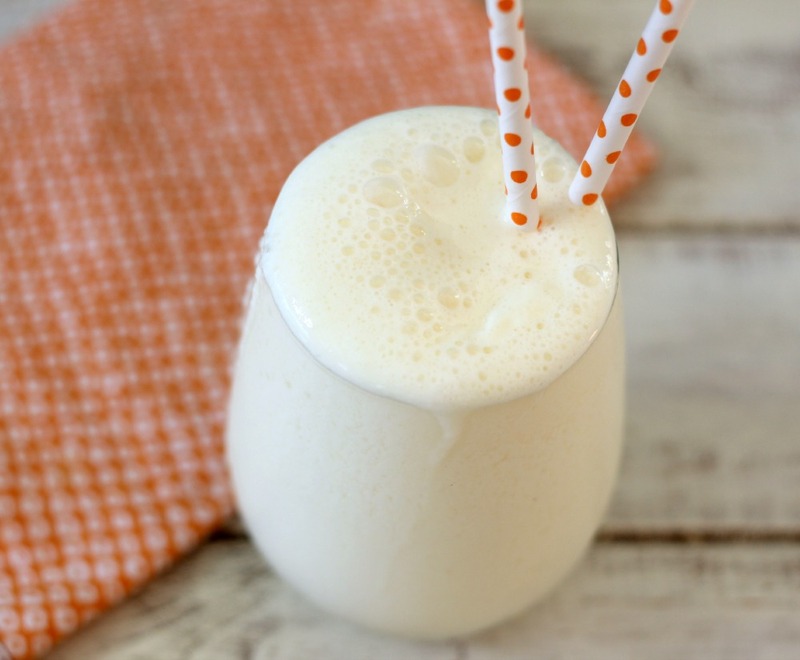 To make this smoothie I used Dannon Light & Fit Greek Yogurt in Citrus Blend, non-fat milk and a pinch of orange juice. Blend it all together for this wonderful drink. I found Dannon Light & Fit Greek Yogurt in Citrus Blend at Target. After reading the package it said only available at Target. I like the Dannon Light & Fit line, only 80 calories and it satisfies my sweet tooth! You can see the photo of the yogurt here. 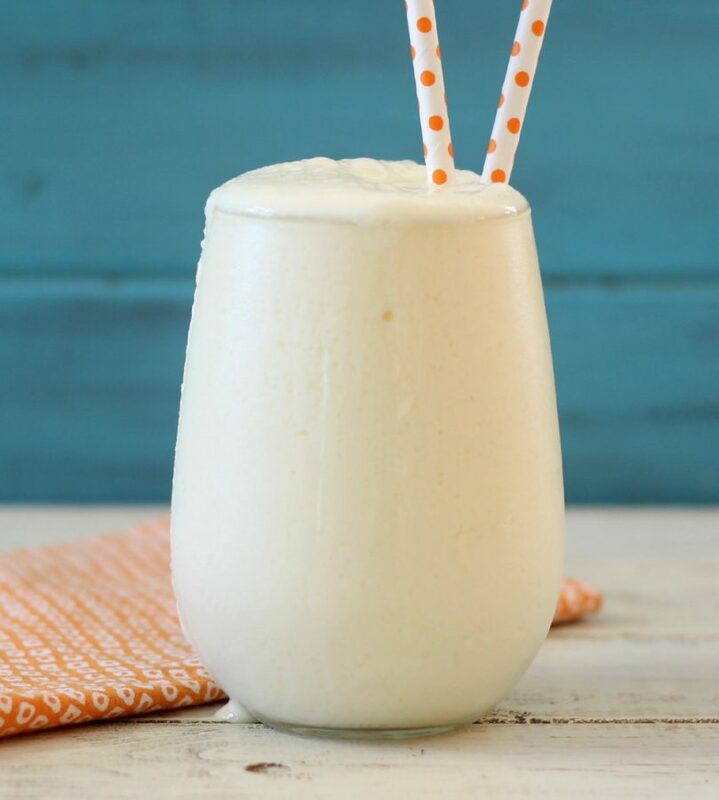 A light, sweet, creamy, refreshing smoothie with the perfect balance of orange flavor with a hint of lemon and lime! 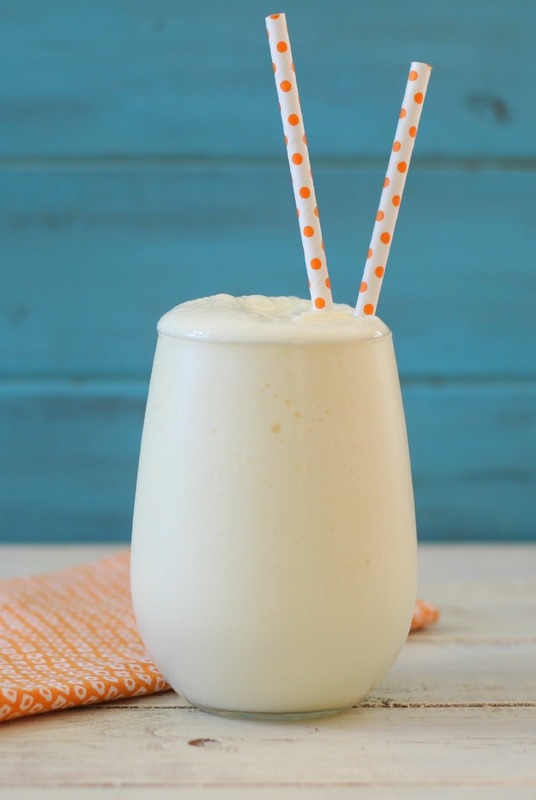 It tastes just like an Orange Creamsicle and is only 135 calories! It’s going to be a busy day for me at work today! So I am happy to whip up one of these smoothies to get me through the morning with a smile. Have a super fabulous week! Again, a perfect smoothie that I feel I must make! Girl I need to seriously make every single one of your smoothies! I am loving this smoothie! 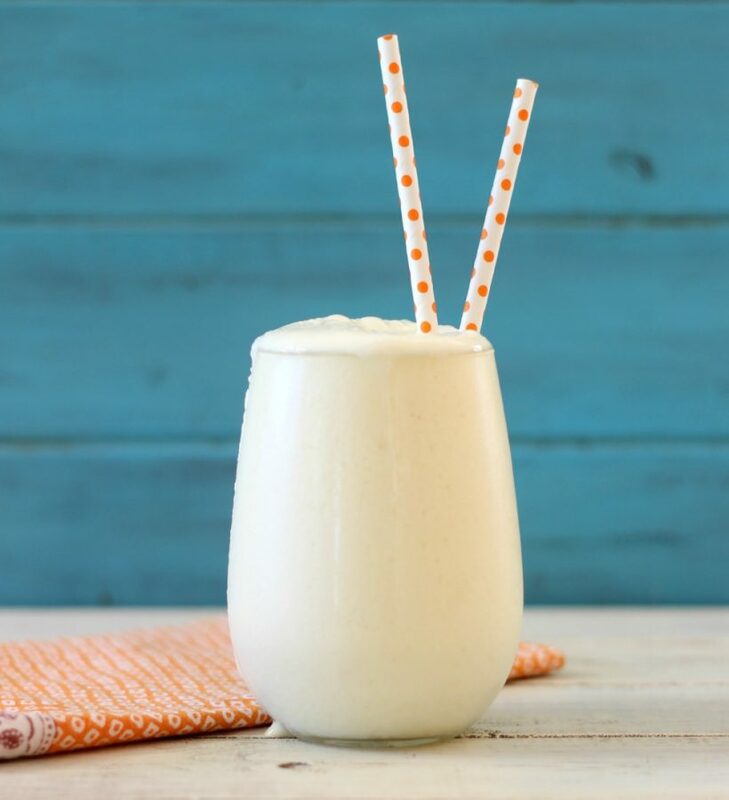 I’m doing an inlinkz round-up of smoothies on my blog and was just wondering if I can add this gorgeous smoothie to it please?